A medium sized basket organiser ideal for storing items in the kitchen, laundry, bathroom or garage. Could be useful to sit in a cupboard under a sink, or on a shelf to arrange your cleaning products. 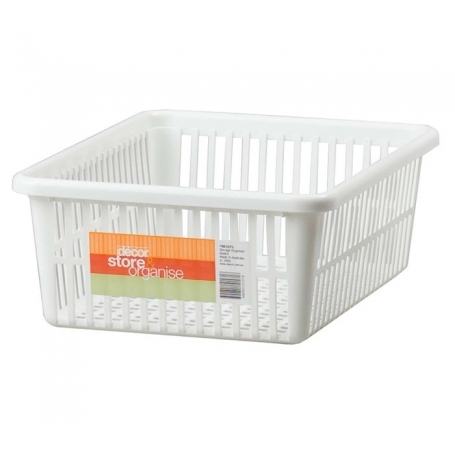 A strong sturdy white plastic open weave basket.